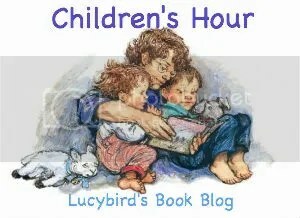 Children’s Hour is a new feature here at Lucybird’s Book Blog every Thursday where I’m looking at children’s picture books. As I work in a nursery I get plenty of opportunities to look at picture books, and to see what the kids think of them so it really makes sense to use those experiences. I’m continuing with last week’s owl theme for this week with a book which is called I’m Not Cute. I’m Not cute follows the story of Baby Owl. Baby Owl wants some peace and quite so he decides to explore the woods. Unfortunately for Baby Owl he is just SOOO cute that the other animals just can’t resist picking him up and giving him a big hug! Baby Owl is not happy, Baby Owl knows he is NOT cute, he is a big, strong, fighting machine. Basically all the cuddles are really wrecking Baby Owl’s bad boy image! I love making my reading theatrical so this is pretty much perfect for me. Baby Owl is just like an over-tired toddler having a bit of grump, and the typography of the book makes to so easy to put this across with your reading. Lots of capitals, lenghtened words, italics, it just begs you to pretend to be a kid! I do love Baby Owl, he is cute (and I’m sure he would hate me saying that!) and he is realistic (as a kid more so than as an owl). The kids love the book too. It’s easy for them to join in and they love saying who all the animals are and who’s going to come next. It’s a really fun book to read and to listen to. Pretty much the only negative thing is that I have never seen a squirrel that looks like Squirrel before! I’m Not Cute sounds like a fun children’s book. Reviewing children’s books, which I do now and then, reminds me of reading time with my own children when they were young and the favourites we shared. There are some amazing children’s authors out there. Stopping by from the Hop. Been a long time since I read any children’s books, but with our first grandchild on the way soon, I better start looking for some good ones!